"I expected Prime Minister Adel Abdul Mahdi to send the names of the candidates of the ministries to the parliament during the second legislative term, but this did not happen unfortunately," said Halaboussi, for the program point of view, which is broadcast by "Tigris satellite", adding that "the survival of the security ministries vacant throughout this period Not convincing and final and the political blocs to resolve a specific time limit. " "There is a Kurdish-Kurdish problem related to the Justice Ministry and its candidate and there is a lack of consensus between the other political blocs on the candidates of the security ministries, which led to the survival of the government of Abdul-Mahdi incomplete during the previous period." "The president of the parliament on the need to" Abdul-Mahdi choose his own ministers and not leave the issue open to the political blocs too much, "stressing that" Abdul Mahdi did not officially send any names of candidates for the remaining ministries in his government to parliament. " 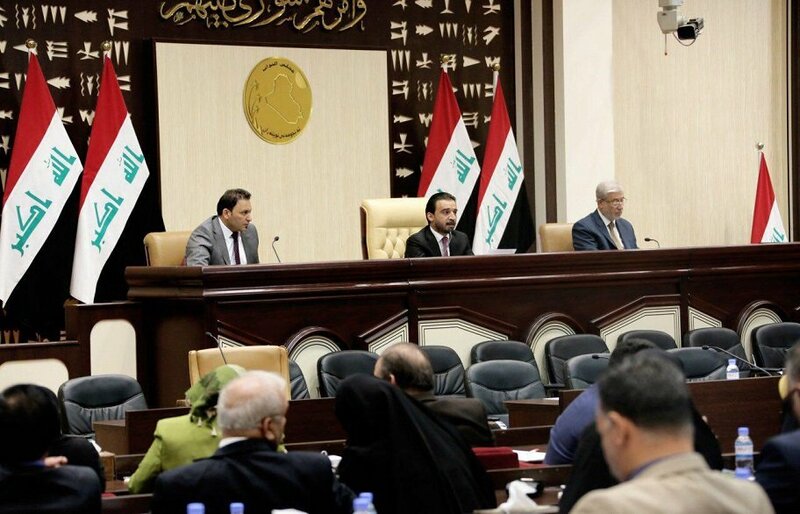 Direct: The Iraqi Council of Representatives in its meeting tomorrow Monday, 6 draft laws. The Council said in a statement on its website that it will discuss the vote on the draft amendment of the law of the recovery of Iraq's money No. (9) for the year 2012, after discussion in the Integrity Committee, and the Finance Committee. The Council votes on the draft law amending the Companies Law No. (21) of 1997; after discussing it in the Committee of Economy and Investment, and the Committee on Culture, Information, Tourism and Antiquities. The Council discusses the first reading of the draft law of the Ministry of Communications and Information Technology, and the first reading of the draft law of the first amendment to the Law of the Ministry of Interior No. (20) for the year 2016. The Council is considering the first reading of the draft law on the accession of the Republic of Iraq to the Convention on Minimum Standards for Social Security No. 102 of 1952, as well as the report and discussion of the draft traffic law. The Fatah alliance led by Hadi al-Amiri, on Tuesday, that he is ready to vote on candidates vacant ministries, which is presented by Prime Minister Adel Abdul-Mahdi. The MP for the coalition in an interview with / Mawazin News / "There is a breakthrough in the file on the vote on the Cabinet remaining ministerial," noting that "the coming days may witness the vote on the names of candidates for vacant ministries." He added that "the Fatah alliance is ready to vote on the candidates presented by Adel Abdul Mahdi." The House of Representatives gave confidence to the government of Adel Abdul Mahdi on 24 October last, but left 4 ministries vacant are education, justice, defense and the Interior. 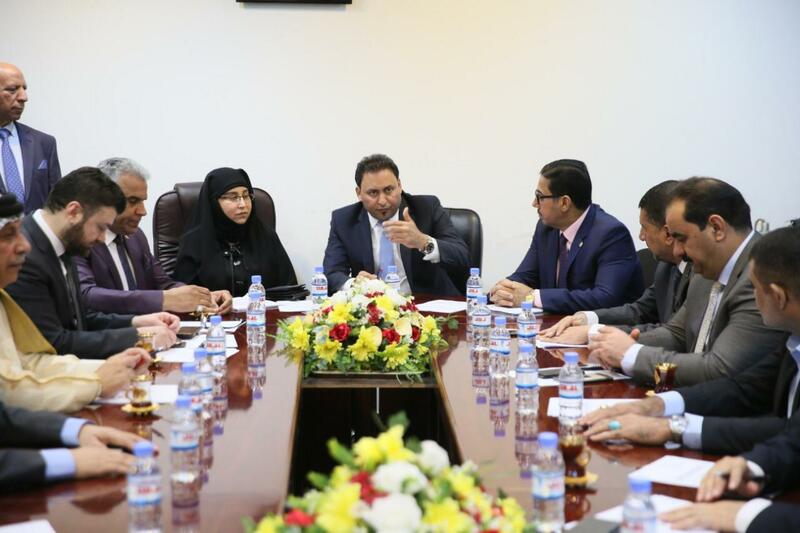 First Deputy Speaker of the House of Representatives Hassan Karim al-Kaabi on Wednesday discussed with the oil and energy committee the strengthening of the oil sector in the country, as well as legislation related to the work of the committee. "The latter presided over a meeting of the Committee on Oil, Energy and Natural Resources to discuss the need to legislate laws related to the work of the committee, which contribute to the strengthening of the oil and energy sector in the country," the Information Office of the First Deputy Speaker of the House of Representatives Hassan Karim al-Kaabi said in a statement received by Mawazine News. "He said. The House of Representatives decided on Wednesday to postpone the consideration of appeals against the health of some of its members and vote on the Financial Management Law. A parliamentary source told Mawazine News that "the House of Representatives postponed the consideration of appeals filed on the validity of the membership of some deputies." The source added that "the House of Representatives also decided to postpone the vote on the draft law on financial management." The House of Representatives, on Wednesday, held its 11th session of the fourth parliamentary session for the first legislative year in the second legislative term under the chairmanship of its president, Mohamed Halboussi. 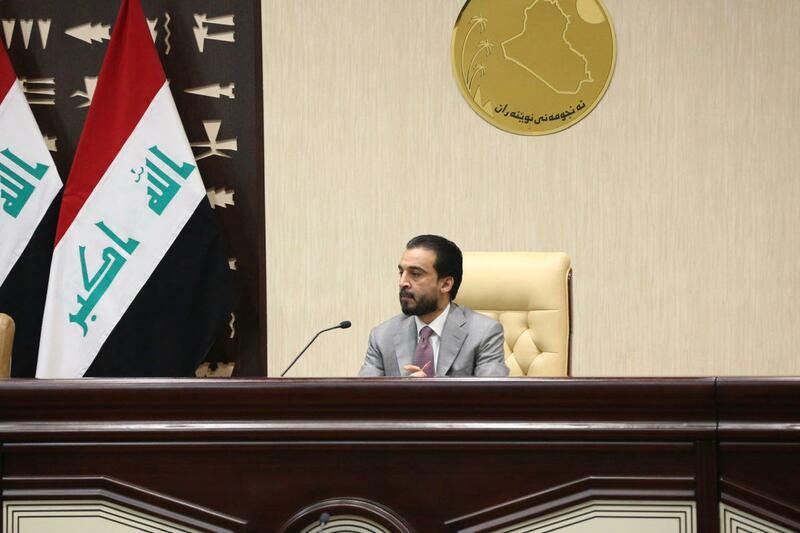 The House of Representatives on Wednesday, the first reading of the draft law of the Supreme Iraqi Navy. A parliamentary source, told / Mawazin News /, "The House of Representatives, finished the first reading of the draft law of the Supreme Iraqi Navy." The House of Representatives held on Wednesday, its 11th session of the second legislative term under the chairmanship of the President of the Council Mohammed Halbusi, is scheduled to witness the vote on the draft law on financial management and discuss the law of the Information and Communication Commission. A parliamentary source said in an interview for Alsumaria News, "The House of Representatives held, on Wednesday, its 11th of the second legislative term under the chairmanship of the President of the Council Mohammed Halbusi," noting that "the agenda of the meeting includes" the vote on the draft law on financial management, and the first reading of the bill Information and Communication Authority ". The agenda also includes the first reading of the draft law of the Supreme Iraqi Maritime Authority, as well as the first reading of the draft law on the accession of the Republic of Iraq to the agreement of the Asian Investment Bank for infrastructure. The session is also scheduled to witness the report and discussion of the draft industrial cities law, and the report and discussion of the draft amendment of the first law of the Integrity Commission No. (30) for 2011 during the session. 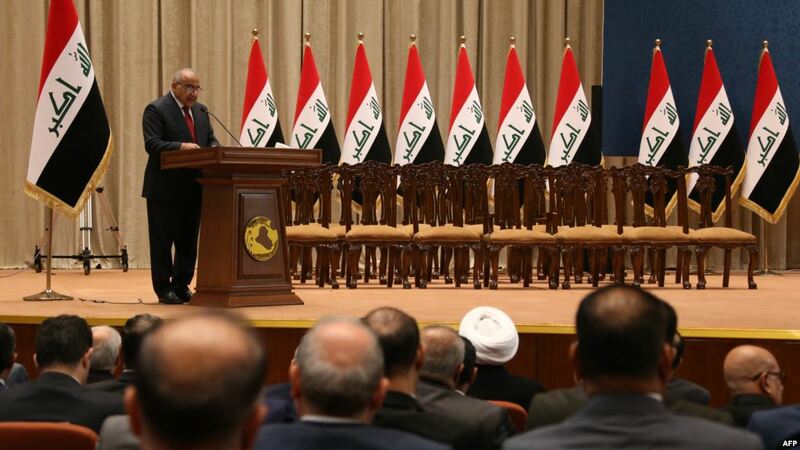 Stressed the deputies of the capital Baghdad, on Tuesday the need to implement all the service projects stalled, pointing to the importance of implementing the budget items to complete the projects stalled. The Information Office of the First Deputy Speaker of the Parliament Hassan al-Kaabi said in a statement received by the "Information", "The Baghdad bloc held a meeting headed by First Deputy Speaker Hassan Karim al-Kaabi, in the presence of Nuri al-Dulaimi, Planning Minister and Falah al-Jazairi, governor of Baghdad, and the memory of Alloush Baghdad. Al-Kaabi stressed during the meeting that the budget items should be implemented in order to complete all the stalled projects in the capital. He stressed the importance of following up the completion of projects especially schools and health institutions without delay and providing support in order to facilitate procedures for all projects that directly serve the Baghdadi citizen. The House of Representatives ended on Wednesday, reading five draft laws, while intends to host the President and members of the Federal Supreme Court to inquire about some of the decisions issued by them. The council also voted on a ban on electronic games that incite violence, with negative effects on the health, culture and security of Iraqi society, such as the "Bopji, Fortnight" and "Blue Whale" games. A statement issued by the Information Department of the Council, received "morning", a copy of it, "The parliament decided in its eleventh session held yesterday under the chairmanship of Mohammed Halbusi and the presence of 175 deputies, hosting the President and members of the Federal Supreme Court to inquire about some of the decisions issued by them, Laws". "At the beginning of the meeting, the Presidency of the Council decided to postpone the consideration of the appeals submitted to the health of some members of the House of Representatives to a subsequent meeting of the need for a two-thirds majority of the Council members, while the Council postponed the vote on the draft Financial Management Law submitted by the Finance Committee to the meeting on the second of May next to complete the discussion The project and the maturation of its articles before its legislation. " In the same regard, the Council completed the first reading of the draft law of the Information and Communications Authority, which is submitted by the Services, Reconstruction, Culture, Information, Tourism and Antiquities Committees, which aims to regulate the work in the means of communication and the preparation of the main broadcasting and media regulations and their accreditation in the granting of frequency licenses, Networks, interconnection, radio frequency spectrum, radios, wireless terminal equipment, user protection, information and standards of information work. Second: Directing the Ministry of Communications and the Media and Communications Commission for the purpose of taking all appropriate technical measures to implement this decision. On the other hand, Al-Kaabi directed both the parliamentary committee to host the ministers of water resources and agriculture to discuss the dams of Darbandikhan and the plan of the Ministry of Agriculture to hand over the wheat crop from the farmers and marketing it. The Council ended the first reading of the draft law of accession of the Republic of Iraq to the Asian Investment Bank The Committee on Foreign Relations for the purpose of building and rehabilitating the infrastructure in Iraq and diversifying its sources of funding and for the accession of Iraq to the Convention. The Council completed the reading of a report and discussion of the draft Industrial Cities Law submitted by the Committee on Economy and Investment. In the interventions of the deputies, the proposals and opinions stressed the importance of the participation of a representative of the government in industry meetings, determining the subordination of the Industrial Property Authority and its size, and calling for plans and study before embarking on the establishment of industrial cities. He urged ministries and government agencies to facilitate the implementation of the law and the establishment of industrial cities. By adjusting the percentage of foreign workers in industrial cities and increasing the percentage of national labor. On the other hand, the Speaker of the House of Representatives noted that the federal budget law for the year 2019 required the government to pay transfer fees to the lecturers contracted with the Ministry of Education before the law came into force. The committee directed the Ministries of Finance and Education to discuss the matter and inform the Presidency of the results of the hosting. And instructed the President of the House of Representatives to set a date to host the President and members of the Federal Court in the next sessions of the Council to inquire about some of the decisions issued. The Council decided to postpone the reading of the report and discussion of the draft law of the first amendment to the Integrity Commission Law No. (30) for the year 2011 submitted by the Integrity and Legal Commissions, civil society institutions and parliamentary development at their request. The council completed a report on the draft traffic law submitted by the Security and Defense Committee. 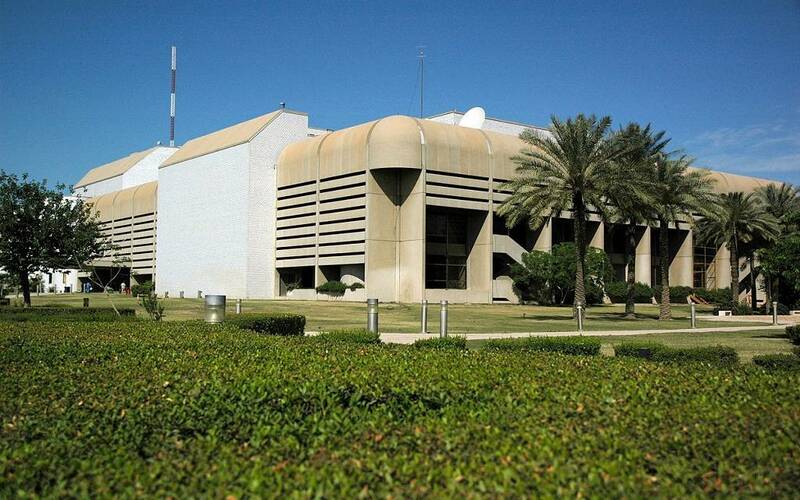 The meeting was adjourned to Saturday, 27 of this month. The House of Representatives ended on Wednesday, the first reading of the law of the accession of Iraq to the Convention of the Asian Investment Bank for infrastructure. A parliamentary source said in an interview read by the "Covenant News" that: "The House of Representatives ended the first reading of the draft law of accession of the Republic of Iraq to the Asian Investment Bank for Infrastructure "He said. The House of Representatives, on Wednesday, held its 11th session of the fourth parliamentary session for the first legislative year in the second legislative term under the chairmanship of its president Mohamed Halboussi. 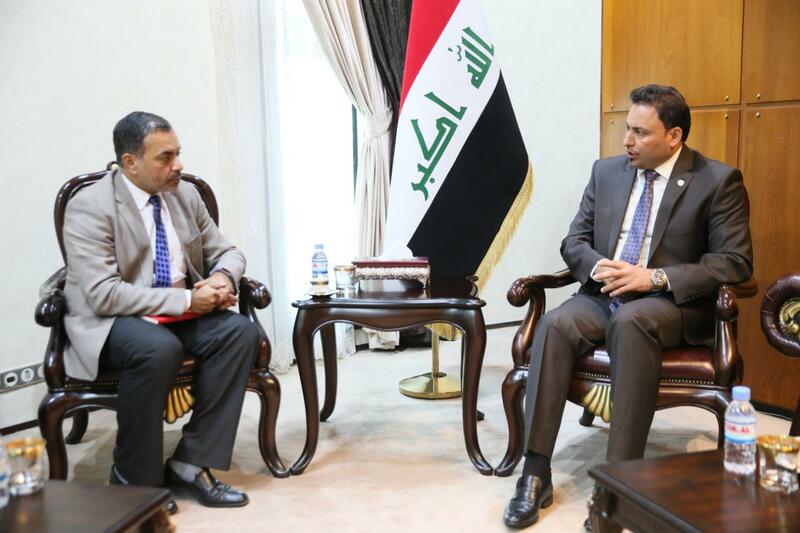 President of the House of Representatives Mohamed Halabousi, on Monday, discussed with the Prime Minister the issue of resolving vacant ministries, stressing the end of the file of the State Administration by proxy. 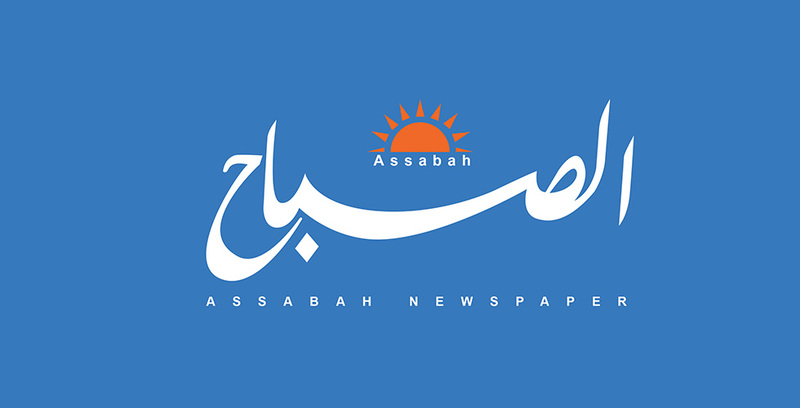 "The latter met with Abdul Mahdi and discussed during the meeting the latest political, security and economic developments in the country, and discussed the file of completing the government cab, and the resolution of vacant ministries, and the law of provincial council elections and amendments," the statement said. The statement added that "it was stressed to end the file of the state administration by proxy and the need for continued cooperation between the legislative and executive authorities in order to provide services that meet the needs of citizens and contribute to improving the social and service conditions." MP revealed the alliance of Fatah, Hamid al-Moussawi, on Monday, the direction of the coalition and the opening and the opening to form a new base. Moussawi said that "the rapprochement between the two poles of the Dawa Party to form a unified parliamentary bloc and run in the local elections with a single list is the one who pushed the other allies and open to end their differences on the ministries of the stalled." President of the House of Representatives Mohamed Halbusi, on Monday, with the President of the Kurdistan Democratic Party Massoud Barzani during his visit to Erbil complete the government cab and choose the governor of Nineveh. "The meeting discussed the current political and security situation in the country, discussed a number of issues of common interest, as well as the file of completion of the ministerial cabin, the termination of the state institutions by proxy according to the specified period, as well as discuss the file of Nineveh province and stability through the cooperation of forces Political; to choose a governor is able to promote the reality of the province. " The meeting stressed the need for joint coordination between the Center and the region, resolving the outstanding problems in accordance with the Constitution, and that the next stage of the stage of concerted efforts; to serve all Iraqis. Former MP Serwa Abdel Wahid on Monday mocked House Speaker Mohamed Halabousi and President of the Kurdistan Democratic Party Massoud Barzani (Parliament serving the party leader). "The parliament is in the service of the people, my intention is to serve the ruling party," Abdel Wahid commented on a picture of Halbusi and Barzani gathered today in Erbil. Halabousi arrived at the head of a delegation to Erbil, where he met with Barzani and discussed a number of issues, notably completion of the government cab and the selection of governor of Nineveh. Rage has reportedly prevailed the Iraqi streets, as they are believed to be losing confidence in the current government, due to the absence of reforms and services on the ground. Basra official[url=https://www.thebaghdadpost.com/en/Story/t/41485/Habib al-Fatlawi] Habib al-Fatlawi [/url]said that the status of people currently started to be obvious to politicians and forces ruling the country, adding that fiercer protests can take place this year "if the inhabitants of Green Zone" did not take a decision. The difference between the current prime minister and his predecessors is that he is weaker than them, because there is no strong parliamentary bloc that supports him, Fatlawi said, adding that also, other strong blocs exert pressure on him. Iraqi political expert Majed al-Ali said that the current stage in Iraq would be followed by changes soon, adding that some blocs aim to overthrow the government to achieve personal gains. Overthrowing the government will not improve the situation in Iraq as there is not any political figure who can better lead the country at this stage, as "everyone is seeking personal gains," Ali said. 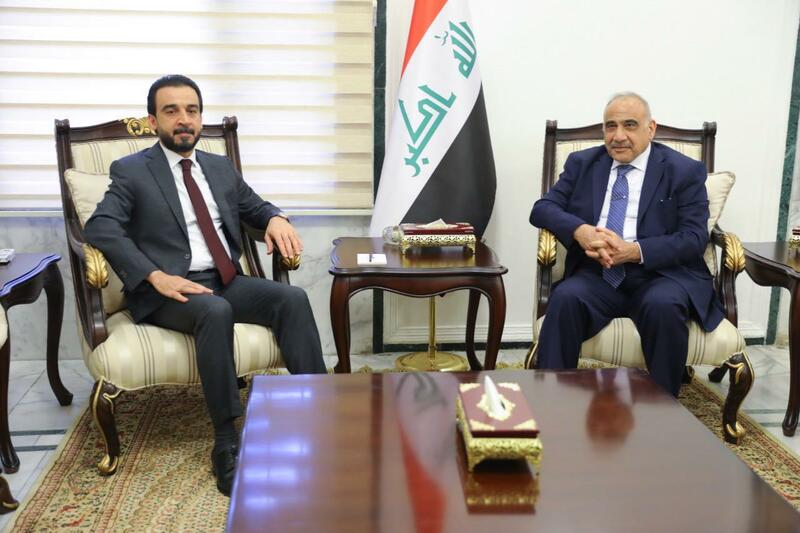 The idea of overthrowing Prime Minister Adil Abd al-Mahdi, who was appointed in October last year, first emerged when Sami al-Askari, a member of the State of Law Coalition headed by Nouri al-Maliki, spoke about the matter openly. He said in a televised speech that there are attempts to bring back former Prime Minister Haidar al-Abadi, adding that some of his allies promised to bring Abadi back to his post after a year, hopefully until 2022. Askari tried to distance the State of Law Coalition from the matter by ruling out the possibility that the Coalition could merge with Abadi’s Nasr Alliance. ERBIL (Kurdistan 24) – Iraq’s parliamentary speaker Mohammed al-Halbousi on Monday arrived in the Kurdistan Region capital of Erbil and is set to meet with senior Kurdish leaders and officials during his visit. The trip comes two days after a parliamentary delegation from the Kurdistan Region visited Baghdad to meet with an Iraqi counterpart and participate in the summit held in the capital between top legislators from Iraq’s regional neighbors, hosted by Halbousi. Upon arrival at Erbil International Airport in the afternoon, the speaker was welcomed by his Kurdistan Region counterpart Vala Fareed. Following this, they held a meeting, attended by deputy parliament speakers from both sides, among other officials. The Iraqi speaker is expected to meet with senior officials, including Kurdistan Regional Government Prime Minister Nechirvan Barzani, and Kurdistan Democratic Party (KDP) leader Masoud Barzani. They are due to discuss a range of issues with a focus on the developing relations between Baghdad and Erbil. Number of attendees: (172) deputies. The session started at 2:30 pm. On behalf of the people, we open the proceedings of the eleventh session, the fourth parliamentary session, the first legislative year, the second legislative term. We start by reading verses from the Holy Quran. Read verses from the Holy Quran. * Paragraph I: Consideration of appeals filed on the health of the membership of some ladies and gentlemen MPs. I need a two-thirds quorum, and a two-thirds quorum is not verified. * Paragraph II: Vote on the draft financial management law. (Finance Committee). Mr. Chairman, you have attended the Master of Knowledge through your work in the Finance Committee in the previous session and that this law, the Financial Management Act is very important law, which is the rule and framework, which is the fiscal policy in Iraq, public expenditure and public revenues and public budget. The law, through the involvement of several specialized bodies, internal and external and yesterday and today continue to work with the Canadian Institute of Governance and the Ministry of Planning and Finance Committee continues its meetings daily and today of the meeting we went to the meeting. Ask your attendant to give us time to study the draft law. Enough, enough time how much? I do not know, maybe two or three sessions, to say the end of the fifth month, during the fifth month, ie before the end of the fifth month. Mr. President, like what Dr. Ahmed said, but time, I think that after two workshops worked for us, so the next sessions, not next week but the next one in one of the sessions either last or before the last is ready to vote. Mr. Faleh Al-Sari, I think this law is the civil service law has been discussed extensively in the Finance Committee. Mr. Chairman, the Financial Management Act will be the constitution for financial management in the next phase, and thus such a law should take the floor of the discussion and the specialists and workshops held by the Finance Committee, although this law was discussed at length in the previous session and held several workshops, The civil service is one of the most important and fundamental laws for building the Iraqi state. Therefore, after the presidency of the Council gives the space to the Finance Committee is not harmful, but useful and useful to provide you mature law from all sides, so the request for postponement is a justified request. Yes, next week you have the space to continue the discussions and with the start of the sessions in the week following (27) you will prove the 2/5 date after two weeks which is the last session of the week of sessions. I hope the deadline is because this law is important. * Paragraph III: First reading of the draft law of the Information and Communication Authority. (Commission for Services and Reconstruction, Committee on Culture and Information, Tourism and Antiquities). First: A request to remove the legal committee from the quotas between the blocks because it is a professional legal committee. Second: We know that the Iraqi government has sent so far not less than (100) law for reading the first and second and for legislation within the House of Representatives, so far did not approve any draft submitted by the members of the House of Representatives and this is contrary to Article (60) of the Constitution that the Iraqi parliament can Submit laws. We demand the presence of a legislative share of the draft laws submitted by the House of Representatives exclusively because it has to do with the reality of life of the Iraqi citizen. Mr. Chairman, Health and Environment Committee We have applied to you to include the issue of separating the Ministry of Health and the Ministry of Environment with 120 signatures. So I hope you attended. Parliamentary Chamber, to be included in the agenda at future meetings. Mr. President, you and the MPs are not aware of what Iraq has gone through the scourge of terrorism and the scourge of corruption and today the scourge of drugs. Mr. President, the House of Representatives must have a real attitude towards what is happening in Iraq in general and today the drugs that spread in most of the provinces. We want the House of Representatives to have a firm stance towards these actions. Today, it must be a real pause to hold all drug promoters accountable. As well as to oblige the government to maintain borders and border crossings to reduce smuggling of goods and to reduce the indiscriminate smuggling that occurs in customs and border crossings. The possibility of the Minister of Culture is this? Her intervention continues only at the moment I interrupt her in the intervention lift. Yes, where do I put the investigative commission? Is it possible to spend the first paragraph and will take interventions between the paragraphs, between the paragraphs will take other interventions. Read the first reading of the draft law of the Media and Communications Authority. Presidency becomes, Presidency of the Republic, when read by the Presidency of the Republic replaced the Presidency Council. Please re-read, the Presidency of the Republic. Completes the first reading of the bill of the Media and Communications Authority. Complete the first reading, and read the reasons for the bill of the Media and Communications Authority. * Paragraph IV: First reading of the draft law of the Supreme Iraqi Navy. (Service and Reconstruction Commission). Read the first reading of the draft law of the Supreme Iraqi Navy. Complete the first reading of the draft law of the Supreme Iraqi Navy. Ladies and gentlemen, MPs, brothers, colleagues read the law until you hear, you have notes on the law, you have interventions, please. Doctor, stop reading the law so we can settle the situation. Please brothers, your colleagues are reading God and even through the microphone we can not hear, little sound. Complete the first reading, and read the reasons for the draft law of the Supreme Iraqi Navy. The truth is that I have an explanation for what the Deputy Sister referred to regarding the statement of the Minister of Culture to the Riyadh newspaper. Al-Riyadh newspaper reported that the Minister of Culture says that we should benefit from the Saudi experience in fighting terrorism. This statement is completely incorrect. The information is false and there is a statement to His Excellency the Minister is on the official page of the Ministry of Culture and also on the official page did not declare this statement just Minister said that cultural cooperation between the two countries within the Coordination Committee to visit the recent Saudi delegation to Baghdad. I ask the sister of the deputy to make sure first of all to declare the official methods that bind the minister or oblige any person who is supposed to be in the official sites and not from the press or interviews that may turn out like this. I ask her first thing to withdraw this intervention and to commit and to commit all of us To transfer facts from their real sources. Brothers, we have an agenda to go through. Bell, my brothers because we have a vote on the decision. Thank you, Mr. President, and thank you to all the brothers who are seeking to legislate the laws and follow up the ministries and agencies and therefore be in hand with the executive authority to provide services to citizens who have suffered so much. Mr. President, I put before you what passes the ration card and limited it to two or three and for periods of distancing to the distribution and we are in front of victory against the terrorist and a new economic stability. Therefore, I demand through you and through the Ministry of Commerce where I know that there is a minister with a good reputation and patriotism and in order to provide the best citizen to have a pause to follow up this important issue as the share of the family poor and needy and waiting for us a serious pause as promised them through government programs that have been Approved. On 15/10/2018, we gathered more than (50) signatures of ladies and gentlemen, members of the House of Representatives, for an important topic concerning the important category which is the category of students and the problem is renewed annually which is related to the preparatory school system. 10/2018. The aim is to abolish the biological and applied system of the fifth and sixth scientific, which annually misses the efforts of many students, especially the central admissions. Honestly we followed the signatures on 4/11/2018 and the President of the Council referred him to the Education Committee and the Education Committee remained and took no action. We talked with the Minister of Higher Education after hosting him in the Health Committee and said this issue is not our mandate, but the Ministry of Education and the problem of the Ministry of Education to date has not been voting on a minister, but acting by proxy and turned the Agency from health to higher education. We renewed the claim again to the President of the House of Representatives and to the Prime Minister and the Minister of Education and today we ask your presence to issue a resolution ??? Of the House of Representatives abolish this system and return to the previous school system, which is scientific and literary. Committee of Education, six Huda, regarding what was mentioned by MP Jamal al-Muhammadawi. This subject is not presented to us in the Committee, presented to us in the Committee and we discuss it and take a position and presents to the Ministry of Education and decide on the subject. We are with the abolition of application and biological and remains one section of the scientific fifth and for me, and God willing, this issue germinated. A principled opinion by the Education Committee. By hand, he took the papers from Dr. Jamal and gave them to Huda. Ladies and Gentlemen Members of the House of Representatives, Brothers of Calm. Iraq is one of the most important agricultural countries. Therefore, through our observations and field trips, we have noticed the spread of agricultural pests in most agricultural fields and horticultural lands. After inquiry, the Ministry of Agriculture has a number of aircraft and these aircraft have been parked for three years. Mobile teams and farmers. We ask you to intervene directly and address the Ministry of Agriculture using agricultural aircraft because it has a major role and importance in the face of agricultural pests that kill agricultural production and agricultural crops in general, which leads either to the high prices of these crops or to import quantities from neighboring countries, Water and marshes to address the Ministry of Agriculture on this subject, as well as your personal intervention as chair of the Council on this subject. The Ministry of Education, in coordination with the Ministry of Higher Education, has set the stage for ending this issue, considering that there have been many mistakes in the issue of acceptance and the issue of flow in general. As a result of the final decision, we have taken a decision and the Ministry of Education To do it. My sisters and brothers have a vote on the ban on electronic programs and electronic games, we have a vote, so please calm in the session so that we can know the quorum. I just have a note that more than once I have said that we have already collected signatures for the important issue of the Ministry of Oil, which are contracts that so far drain the money of the Iraqi people contracts Car and Qian and called for the formation of an investigative committee signed by (90) Vice-ladies and gentlemen deputies and introduced at the beginning of the month Twelfth of the year 2018 and so far did not appear in the meeting and do not know what is the problem? Knowing that the rules of procedure are clear in this regard, so I hope that you will be presented to the session of the House of Representatives to vote. (27,43) of the rules of procedure which gave the right to the House of Representatives to object to issues related to the work of the House of Representatives, we have submitted more than once requests to the Presidency and to the President of the House of Representatives is encouraged by the signatures of members of the House of Representatives on various issues, The Presidency of the House of Representatives or the Presidency of the Council of Representatives to get coordination with the parliamentary service on the requests submitted to the presidency on important topics and take a decision and come back to us again to know that the effort we made in collecting signatures on crucial issues Where did you arrive? What happened to them? Did you mean this decision? Or the proceedings? You do not have a legal point on article 27. I know that, but is your answer to the decisions we are supposed to make? We are collecting signatures and giving them to the Presidency of the House of Representatives and we do not come as a result of these signatures from the presidency, so I hope the parliamentary circle in coordination with the presidency learned us the decision. Parliamentary In the light of the objection from the point of order of Ms. Alia Nassif, the procedures are formally taken. My brothers, my sisters, my colleagues, at the request of the Committee on Culture, Tourism and Antiquities, placed on the agenda, which is part of the work of the Culture Committee for a period of time. It was transferred by Mr. President on 14/2/2019 to the Culture Committee to issue a decision regarding the electronic games that started taking many of our sons and daughters Especially the students, there are also some games that incite violence and spread a culture is not culture, principles and ethics and our community, religious and educational values ​​and in this regard was directed to the Culture Committee, which prepared the following resolution, so to include on the agenda we need your consent and then read the resolution In your kind hearing about the decision to ban electronic games, popi and violence. (Voting on the agenda of the ban on electronic games was voted on the agenda). First: Demanding the government to ban and limit all matters related to the practice of these electronic games or trading them, including the game of the Bopji and Fort Knight and the game of blue whale or similar games as they threaten social security, moral, educational and educational to all segments of Iraqi society. Second: Directing the Ministry of Communications and the Information and Communications Authority to take all appropriate technical measures to implement this decision. (The ban on e-games fueled by violence was voted on). Thanks to all the members of the House of Representatives for this decision and contacted us and the media and communication and declare solidarity with the Council to block these games and invites the Presidency to attend the closure of these games and invite the deputies also to attend to oversee this closure. The House of Representatives and the Presidency of the Council of Representatives thank the Committee of Culture and the brothers and sisters in the House of Representatives for their interaction and their role in this resolution. All of our graduates are supposed to get a chance to be appointed to serve their country. The Ministry of Oil must have the largest role in embracing oil specialties or oil engineering as the Ministry of Irrigation, which provides more than 95% of the budget of Iraq. Subject and contact the Ministry of Oil to know the demands and needs of this important segment of our children. Of course, we all know that there are many traffic accidents that get on the roads or the internal or sometimes murder, but frankly we regret that many passers-by close to the scene can not save the person who needs help and rescue because of the law that criminalizes or hold this person on the savior Considering that he may be the culprit or related to this incident, so many of the incidents that occur victim victim and dies and can not pass by any person, so in order to preserve the life of humans and the life of the Savior and not only questioned legally or by some tribes that Probably There is a tribal chapter even on the person who saved, so I wish the Presidency and the House of Representatives and my colleagues and colleagues of the House of Representatives to legislate the law of protection of the paramedic and take it seriously. We direct the Legal Committee to this intervention. As for your funeral, the supervisory role in the House of Representatives is limited to oral parliamentary questions or interrogations. Two parliamentary questions were addressed to the Minister of Water Resources since the first month of the year concerning the ministry's actions on the dam of Derbandikhan and the effects of earthquakes. Is addressed to the Minister of Trade and my question was about the Ministry's preparations in the preparation of marketing outlets and expansion of the energy of the silos of the Ministry of Trade and find additional financial allocations in preparation for the harvest season and we expect that this year more than (12) million acres is touching And we hope that the Presidency will set a date for the presence of the Minister of Commerce to clarify it, and this will be in the constitutional or within the session and better in the session so that the gentlemen and ladies have a picture of the preparations of the ministry will begin the marketing season and begin problems and the suffering of the peasants. A very important topic, the Ministers of Water Resources and the Minister of Commerce are hosted in the Constitutional Hall and set a date for that. In addition, there is another violation that is that each deputy represents the Iraqi people from Zakho to FAO that it was a large or small mass, but talk high and boast about the large number of cluster belonging to it and the view of the blocks, which the number of members a few inferior view is also violating the rights of the MP Is a violation of the rights of the citizens who elected him, so we demand not to allow any deputy to speak this formula, including violation of the rights of citizens and distortion of the image of the Council at the same time, and there are blocks of members more than (50) members of their strength in their performance and we have not seen any day Come either from the head of the block or the newest deputy We have not seen any transcendence before them, so we ask everyone to abide by these things. Everyone is respected in the House of Representatives in large blocks or small blocks and we represent people do not represent a sect and do not represent a national and do not represent a particular party, but we represent a people in this place and we have the honor to represent the Iraqi people. Second: Regarding the agricultural plan and Professor (Farat) there was a proposal, I explained to the Presidency that this topic was a real follow-up with the brothers in the Committee on Agriculture and Resources, a letter was issued by the Agricultural Committee to the Deputy Prime Minister for Economic Affairs, The Minister of Water Resources, the Deputy Prime Minister or the members of the Economic Committee, in order to resolve this issue by decision of the House of Representatives. In addition to hosting the members of the Economic Affairs Committee of the Council of Ministers regarding the reception, sites and marketing citizen, we return to the agenda. The first point relates to the agenda. Today, the agenda is in the sequence of points. The subject of the report is always discussed. The second reading is left at the end of the table. This means that a large number of deputies leave the hall and therefore the observations that can be used and used by the committees are non-existent. No votes, no first reading We need interventions, we need interventions and observations Second reading in the debate, discussion should be at the beginning of the agenda. This subject was a move from the Ministry of Higher Education to the General Secretariat of the Council of Ministers at the time of Dr. (Abdul Razzaq Al-Issa), the former Minister of Education traced the subject of study studies, and when Dr. Qusay Al-Suhail received a request from the secretariat The Council of Ministers to cancel this delay and the subject is still in the Secretariat of the Council of Ministers and submission to graduate studies on Saturday at the door, and students do not know whether they are offering inside Iraq and outside Iraq, and the opportunity outside Iraq at a better rate, so I ask that there is pressure and we in the Committee of Education Through Yah the presidency to the Cabinet Secretariat to expedite this matter before the day 20/4. Third: With regard to the subject of the Bar Association and the exam that was imposed on graduates of law schools and not to grant them the identity of affiliation only after the performance of this exam, we are keen on the educational and academic situation of lawyers, but this is a clear violation of the law lawyers thousands of our students and our lawyers are demonstrating in front of the Bar Association, yes exam It is strong and guarded but at the same time violates the law. We commend all unions, including the Bar Association, the main partner with the State in many projects and programs, and we hope that the Board of Directors of the new Bar Association will have a view and a solution to this subject, which has long been obsessed with many children graduates of law schools. Many of the bills presented are relevant to the government program and have implications for the government's plan to complete its project and program, and the implementation committee of the government program imposed on these laws. Therefore, we hoped that these laws would be referred to the Committee for Implementation and Monitoring of the Governmental Program, even in this agenda. , We are talking about industrial cities and talk about the formation of HEACT, this committee is concerned about this, so the context should be referred to these laws to the implementation and control of the government program of strategic planning to express its opinion on this matter. A question directed at both the government and the House of Representatives. What is the benefit of legislating laws? To apply or to be left aside? Or to leave on the shelf? Why are laws legislated and not followed up with the government? The former House of Representatives voted two years ago on the laws of appointing the first three graduates to the scientific and human sections, Law No (67) of 2017 approved by the President of the Republic and published in the Iraqi Gazette and the law was suspended two years ago by the Council of Ministers after failing to issue instructions The implementation of the law and this is contrary to the text of the law so we wish this Council and the Presidency of the Council as well to direct a letter to the government and must abide by the issuance of instructions to implement this law to get the first class rights stolen and take everyone has the right. First: Provide material support for marketing outside the plan. There are alternative sites ready for the receipt and marketing of wheat, barley and other grains, as well as for financial support, and the harvest of grain outside the agricultural plan has also been taken into consideration. The previous session of the Presidency of the Council approved a set of recommendations on the subject of flooding in the province of Maysan and a group of provinces formed a committee under the chairmanship of your funeral Mr. President, and we wish your joy to speed up the formation of this committee and naming the members of this committee to follow up with the government resolutions that were recommended, The issue of compensation, the compensation of affected farmers and the measures taken in this regard, we wish to recommend in this regard, I hope that the parliamentary department or any department concerned on this subject to resolve the controversy, we wish to accelerate the parliamentary session to accelerate the formation of the Committee T is under your chairmanship. Yesterday, the members of the Committee were completed by the signature of the President of the Council and will begin their work. I want to return to the issue of electronic games and banned by the House of Representatives, the House of Representatives distinguished him the final word in his opinion suitable to serve the Iraqi people, but I am not myself with this ban because it contradicts some basic principles that protect human rights in Iraq, but limits, I hope your funeral To lift this paragraph of the publication or the offer during the House of Representatives so as not to be exposed to the House of Representatives with the knowledge that the decision is ongoing because the House of Representatives voted and I end please lift the offer so as not to be exposed to some embarrassing positions by the Iraqi people on the basis of there is someone who deviates from there Such opportunities are exploited if the House of Representatives is limited to Thier laws and resorted to banning electronic games sites for young or young people. If the government plays its role and the media and communications agency and the rest of the institutions involved in blocking these games from the youth, we will apply the example (happy only) to resort to a unanimous decision on this decision, sure that it is detrimental to the interest of the country and the energy of young people. . There are a bunch of apps that can be loaded. I am afraid of the House of Representatives to be exposed to some criticisms, I ask that you lift the session and the decision past and this decision as you see your funeral, this is an issue. The second question: One of the members of the House of Representatives mentioned in a previous session, I think Professor (Amjad Al-Aqabi) on the issue of transformers in the directorates of electricity, whether in Karkh or Rusafa or in the whole of Iraq, we direct your attention to inform the Energy Committee or the Minister especially because we The minister and the follow-up office of the Minister and the Directorate of Electricity Karkh or the Directorate of Electricity Baghdad, there is a severe shortage and very large transformers in the whole of Baghdad and therefore in one locality of the border (20-25) converted converted and converted after (4-5) months are not installed, And do not set up a converted, there are many complaints from parents The House of Representatives in order to take its role in this matter because it is frankly tired of the claim and the claim does not match what is in the stores please Jnabk of summer is coming. The summer is coming and we need to intensify our efforts in this area, the last two interventions in order to proceed with the agenda. The topic that was raised regarding the appointment of graduates of oil engineering colleges and associated branches, we mentioned, it is necessary to combine two criteria. The first criterion: the availability of qualifications and technical and scientific tapes. It is assumed that the mechanism is transparent and prior to our request. We have stated to public opinion the qualifications and conditions required in the appointment of this function and determines the degree of differentiation of each element of these qualifications or conditions, then apply these criteria and announce the results until each applicant knows himself according to his qualifications and conditions, ), And whoever finds another person obtains (14) degrees to be able to object, the absence of transparency will be provided by the unqualified and deprived of who is eligible to be appointed. If a decision of the House of Representatives or a recommendation to declare these qualifications and conditions and degrees of differentiation and even digital grades, These conditions and qualifications get this degree, come on When the results come out see the outcome less than other competitors or more I think this mechanism and this transparency will achieve a high degree of social justice and equity. My intervention concerns the fifth paragraph of the agenda of the draft law of the accession of the Republic of Iraq to the agreement of the Asian Investment Bank for infrastructure, since this matter concerns the investment side was better to join the Committee on Economics and Investment with the Committee on Foreign Relations because this law has an investment side and therefore can not cancel the role of the Committee The economy and investment Although we have full confidence in the Committee on Foreign Relations, but this subject has been on the investment side and therefore is the work of the Committee on Economics and Investment specifically. You mean that we do not read it today. We hope that the committee will be a partner with the committee. But today we will read and go in partnership. They start the partnership from this moment on. The Economic and Investment Committee is a good part of the work with the Foreign Relations Committee. I have seen a lot of deputies talking about the laws that go to the executive government, frankly I have since the first days asked the Presidency to form a committee to follow up the laws, I think in previous sessions dozens of laws directed to the executive government and took the corner, and took the dust and leave and the failure of the implementation of the executive government of these laws , Called for the formation of a committee from all political spectrum, even though this committee changes in each legislative year only its sole task with the addition of their committees follow up those laws and the seriousness of the executive government in the application of these laws is maturity in the behavior and deal between these two institutions and The same time is the performance and completion of the functions of the Iraqi Council of Representatives. With regard to what was presented by the deputy (Jumaili unit) and that he may be exposed to the House of Representatives, both not critical but criticism or guidance that they left the important laws and controversial laws and went to the game (Albubji) and some claim the eschew of this act, we appreciate and everyone appreciates that the subject is very important Our children are responsible not only for the House of Representatives. We, as parents, manage families that supposedly have responsibility and responsibility for the entire country. I draw your attention to what the sister (Jumaili Unit) suggested to go through with the decision. Voting on the demand of the deputy (Jumaili unit) Are you with or against? Publish. We will proceed with the resolution. We return to the agenda of the meeting, paragraph V, Committee on Foreign Relations. As a result of some of the provinces of the flood crisis as a result of rainfall and floods, especially Maysan province, there are appeals to the parents of the third students average entrance to the comprehensive ministerial examinations, I hope you to take a decision in this regard. Education Committee, do not answer this important subject, the steps of education. Mr. President, there is no room for entry. There is a body of opinion. Today, we voted for it unanimously, and, God willing, there will be a discussion with the Minister of Education, with the public and with what they want, in the general coverage of the third and sixth grade. The first reading of the bill of accession of the Republic of Iraq to the agreement of the Asian Investment Bank for Infrastructure. Read the first reading of the bill of accession of the Republic of Iraq to the agreement of the Asian Investment Bank for Infrastructure. * Paragraph III: Report and discussion of the draft industrial cities law. (Economic and Investment Committee). Read the report and discuss the Industrial Cities Bill. Complete the reading of the report and discussion of the draft industrial cities law. Complement the reading of the report and discussion of the Industrial Cities Bill. My brother, the recent period the Iraqi government and some ministries, including the Ministry of Industry concluded many of the agreements, and these agreements had received many words, what is the benefit of these industrial cities established under this agreement and these protocols, and the secretariat there is a section of them had been concluded in the time of previous governments, Did not do the agreement and work only in the new period led by the Iraqi government openness to neighboring countries trade and economic trade and the return of Iraq to its natural place, we wish to enrich this meeting and this dialogue with the Committee on Economics and Investment technical issues This is not a new topic, but an old topic, too. We start by registering the names because I think the number is more, and sometimes I pay attention. I do not care about justice. If you like to turn to Jah and then , What is the way? With brothers' names, set the time to a minute and a half. [*]Article (4) Second, we propose that the chairperson be appointed by Parliament. [*]Article (4) Third, the addition of a condition for appointing an assistant to the Chairman of the Authority to have experience in the field of the work of the Commission for a period not less than (15) years. [*]Article (6) Second: The term of membership of the Board of Directors is (4) years renewable once, and excluding from determining the duration of membership in the Board of Directors and the Director General of Industrial Development in the Ministry, we propose lifting this exception and covered by the same article. [*]Article (6) Third, we propose that a representative of the local government in which the industrial city is established shall attend the meetings of the board of directors and shall have the right to vote in connection with the industrial city to be established in their portfolios. [*]Article (11) Sixth, we stipulate that the percentage of Iraqi labor shall not be less than (90%) of the total labor employed in the management and activities of the industrial debtor. [*]We do not support entrusting the board of directors with some of its functions to the head of the board, but the administration remains through the board of directors and decisions according to the specified mechanism. [*]Article (9) Second, the conditions for granting leave shall be determined by the instructions issued by the Council of Ministers and not by the Minister. [*]Article (11) The industrial city shall be managed by a natural or legal person. We propose adding and giving priority to the management of cities for public sector companies with similar sectoral competence. [*]Article (12) Second, the license shall be withdrawn from the developer or manager. The license shall be withdrawn from the developer or the director of the industrial city if he does not proceed with the establishment or development of the city within two months and not one year from the date of signing the contract without a legitimate authorization. [*]Article (12) Third, we propose that the leave should also be withdrawn if it is not actually constructed or developed within one year from the date of the contract for the industrial city and not less than (30%) of the completion rate of the project. [*]Article 15 First and second, why does the developer grant the right to lease properties in industrial cities during a period of 50 years, and this long period in which rents may change significantly and the estimates are less than the reality, and the state may lose significant resources due to the length of this lease and why The right to rent what he rents from the state is granted without imposing a proportion of the state in his secondary rental contracts. Article (2) of the law referred to the objectives of this law, which we observe as an overlap between them and the positive reasons. Article 21 can be combined with the positive reasons, because the positive reasons have collected the objectives. Thus article (2) is unjustified because it May be combined with positive reasons. Article (4) of the law referred to the establishment of a body called the Industrial Cities Authority, and the government's policy at present is to rationalize the bodies, and thus we will enter into the creation of a new entity and administrative and financial formation, and other matters that need government intervention and intervention laws. Article 6, Why was not the developer added to the board? The developer's quality is important and the part of the incentive that may be granted is to add the developer to the board, so this could be one of the incentives granted to him. Article (11) Sixth, in accordance with the law, while there is only one law, but (3) the Labor, Residence and Investment Law, 2006, and noting the absence of sufficient incentives to encourage the national and foreign developers alike, And the establishment of acceptable limits for the protection of these cities and their products or activities from the external competition of products or similar security and domestic activities, for the purpose of encouraging him financially to reach the economic feasibility of the establishment of industrial cities. As well as with regard to Article (12) which stated the developer's obligations. And its rights in Article (15). Article (16) mentioned some safeguards, the truth guarantees must be more than rights to attract the developer and encourage him to have an important role in the industrial cities. The Industrial Cities Act is one of the most important laws for the requirements of the agreements, as you mentioned in your agreement. This is why we need careful reading of this law to absorb many of the comments that may be raised which raised controversy during the agreements that were held whether with Jordan or with Saudi Arabia or the countries of the region. (102) gives the right to the Council of Representatives to establish bodies independently, but it is a dispute for the subordination of this body, whether the House of Representatives or the executive authority? Especially in the presence of a decision of the Federal Court determines the nature of the subordination of this body, especially the activity that it exercises, whether it is an executive activity or if a regulatory activity to determine the dependency of this body to whom, I hope that the law on the dependency of this body. The interview companies come from foreign labor and do not invest in national labor, as well as the subject of health services, the fact that the law needs to be explained and to absorb all the observations, we have notes will be written to the committee. I am in the ministry during the enactment of this law, which is one of the important laws and every period needs observations, I now set the set of observations, I would like to explain to the brothers and sisters Industrial border cities need an economic feasibility study, the industrial cities we want from countries that lag in this aspect if we want (90) industrial city Saudization (35) industrial city Jordan has (8) industrial cities, industrial cities other than the industrial zones belonging to the municipality, the issue of industrial cities with neighboring countries topic needs to study the feasibility of economic so know what Is the thing that benefits p Z country, we do not want industrial cities for the purpose of border and customs exemptions, but the industry will kill inside the country, the observations that I have. Article (1) The draft definition of the entity is not included within the terms of the law. Article (2) Fifth: In addition, encourage the private sector to establish industrial cities on land owned by the private sector and provide the necessary facilities shall be covered by all the privileges of industrial cities of the state. Article (4) In addition to the first, each industrial zone shall be an independent company and shall be managed by a board of directors elected. And the public or private sector, and these companies regulate their relationship with the ministries through the Industrial Cities Authority in the provinces or in the Ministry of Industry. Thirdly, the assistant of the head of the board shall be accompanied by an employee under the title of assistant director general who holds a preliminary university degree at least in the engineering, legal or administrative specialties, and has experience and specialization and has a service of not less than (15) years. Article (5): A proposal to add a fourth, to secure the rights of disposition. The proposal to add a representative of the industrial cities of the private sector of the Governing Council, as well as increase the number of representatives of the Federation of Iraqi industries to three because they are responsible in accordance with paragraph 5 (n) Article 3 (n) Law (34) for the year 2002. The amendment of Article (10) Second shall be formulated as follows. After not responding within the period specified in the first clause of this article, his application shall be considered admissible. In case of refusal, legal evidence shall be given to avoid extortion. Article 11 The Industrial City shall be managed by a natural or juridical person. We shall say that the administration of the industrial city shall be a private joint stock company and shall have a board of directors that shall take the director of the industrial zone locally or abroad and perform the tasks. Article (3) of Article (12) shall be repealed and replaced. The industrial zone shall be established according to the schedule submitted by the developer. If there is no acceptable excuse applied in Article 17 of this law, if there is a difference between the two parties, Pricing for services or determining instructions issued. Certainly, the existence of such a law will have a major role in the elimination of unemployment and the expansion of Iraqi industry, but unfortunately I give one example of the project of the industrial city in Nahrawan, which was the truth declaration and start more than (8) years and still has many problems in this project The establishment of this city, for example the Nahrawan Industrial City, which is hoped to achieve, means that if it is established, it will provide many jobs. They faced a big problem in the issue of war waste, and therefore this issue is not So far not finished For more than four years, there have been complicated procedures in this regard. There is also a problem with the effects. I hope that the law will be added within the law or within the bodies facilitating the implementation of this law and the presence of representatives from the Ministry of Defense and the Ministry of Culture and Antiquities. And the instructions of these bodies. I think that the establishment of such a body I disagree with my brothers in the Committee and the Muslim Brotherhood, in addition to adding new expenses to the consumer budget, which I think is very inflated in the Iraqi state and the rank of general manager and assistant general manager and staff and it works almost the same work of the entity located in the Ministry of Industry and Minerals or the Ministry of Commerce, I think that the law needs to be reviewed and the law of the Ministry of Industry. It is possible to add a paragraph by converting a section of its bodies from one of the directorates of the Ministry of Industry, And to pay attention to this subject better than we come form a new entity and add new expenses to the state. The law indicated in Article (3) that the exemptions that are not applicable to the law are the oil projects. Therefore, it requires the addition of the joint industrial zones which have recently established the government to conclude agreements with the neighboring countries which included the establishment of joint industrial zones. (10) of the draft law, we suggest that a period of appeal be set before the Administrative Court of Justice. In the third item within (30) days. The law is very important and represents a qualitative leap in the national industry and in strategic infrastructure projects, I commend many of the points mentioned by the brothers, but looking at the issue is also very important, today we see foreign workers in the Iraqi street are countless, there is no sergeant nor The reason is that the special laws governing these labor laws are loose and can be circumvented and the supervision is almost non-existent or very weak. I focus on the issue of controlling the proportion of foreign workers in the industrial cities, a percentage specified in the law, and there is an exemption only for rare specialties. Percentage of N national employment rate is not less than constitute approximately (80%), for example, the subject Manmm, the high unemployment rate among Iraqi citizens and foreign workers who invade the Iraqi street is very difficult to control. 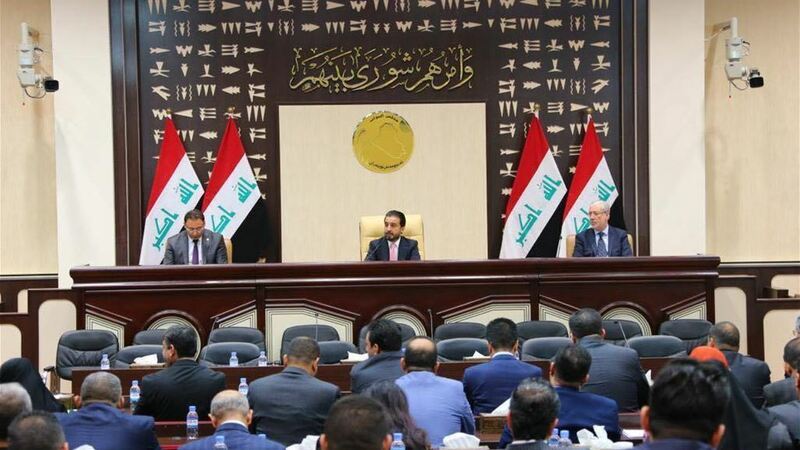 Ladies and Gentlemen, Members of the House of Representatives, today enhance the issue of economic capabilities, whether in the national economy or on the subject of sustainable development, need to have legislation or legal building valid for all laws prepared by the House of Representatives so that there is an activation of the government role for the sake of Attracting investors or those wishing to enter Iraq in the construction of industrial cities in cooperation with neighboring countries and today we know there are modern industrial cities will be adopted whether the desire of the Jordanian side in this area or the desire of the Saudi side.I am in the light of the interventions of the brothers brother Dr. Ammar Tohma and Brother Dr. Mohammed Shiaa Sudanese, brothers did not see the preamble of the modern law prepared by the Committee on Economy and Investment, but you have the old law which is what happened in your hands there is a difference on the subject points that you have touched, 6 II, 6 III, 11 VII, 9 II, or 12 III. This is what Dr. Ammar Tomeh addressed to him in view of the fact that the new law did not contain this system, but there are real changes in the essence of the law and in its legal construction. Mr. Chairman I do not know any copy intended by this MP which we received from the Secretariat and this was done by the first reading, and my remarks Mr. MP means can (7) observations. Remarks of the ladies and gentlemen of the House of Representatives shall be considered in the concerned committee. If the committee concerned approves an amendment to the items or adding other items, add them as a proposal and submit them to the House of Representatives later for a vote. The parliamentary department also handed them the notes if the written observations were submitted and they also provided them with the record. This law itself means reading a first reading and on the basis of which we arranged our observations and I see it is the same material on which I mentioned the notes that are present themselves, or to say, for example, a new formulation. The president knows the law if he reads a first reading. Said, means the original text must remain to the end of the vote. The text that came from the government is the original text, ie adding or modifying a proposed text to be submitted to the House of Representatives for a vote. The best of the brothers MPs to submit proposals on a paper to be discussed in the Committee and host specialists of this law because this law is important. Comments made through the interventions must be registered now and you will be provided by the parliamentary service by recording interventions interfered with by the deputies, and any other written comments submitted to the Committee through the deputies or other relevant committees. 1- Demanding the Prime Minister to install them, pay their dues and end their suffering in accordance with resolutions (12) and (105) of 2019. 2- To form a parliamentary investigative committee for the purpose of finding out the reasons for abstaining from paying wages under the chairmanship of the Integrity, Law and Education Committee, and also to follow up the procedures of the Prime Minister regarding their establishment in accordance with Resolution 12 and 105. I agree with you completely to what went Ally, has been added text in the federal budget law requires the government and also obliges the Ministry of Finance to pay transfer fees to the lecturers, as noted (125,000) of the lecturers who were contracted before the entry into force of the law, any other lists added later unacceptable , Before the law entered into by the Ministry of Education through the directorates of education in the provinces, is not disbursed, I also ask the Ministry of Finance, do not pay for those who have been hired as free lecturers after the entry into force of the law, we commit them to discharge before the law, Representatives of the Education Committee Demand MP Saad is hosting for those involved in the Ministry of Finance and in the Ministry of Education in the Finance Committee and in the presence of the request and the Ministry of Education submitted and let us know presenter next week. Mr. President, there is a resolution (12) and (105) for the year 2019 issued by the Presidency of the Council of Ministers regarding the confirmation and confirmation of contracts as ministerial contracts or permanent owners. Also discussed by hosting, who is from the Finance Committee? Professor Majed hosted by the Finance Committee, hosts the concerned from the Ministry of Finance and the ministries concerned, this applies starting from the beginning of the financial year 1/1/2019, the applicant Mr. Saad and also hosts the Education Committee. It is also possible to host them at another time in the Committee on Economy and Investment and the Finance Committee on the protection of the local product. Deletions and Educational Appointments for 2016 and Health, we mean from the beginning of our directs here in the House of Appointments has been launched and to date what has been issued means administrative orders for them and their installation has ended this year. Second point financial allocations, Mr. President means this unemployment in the provinces and move the market, all people suffer from unemployment and traders, their goods are parked, and when there is a reconstruction occurs movement in the market, and we hope that there will be financial allocations to the provinces and to this moment there is none. The Finance Committee has your report on this matter. Yesterday, the conservatives, the relevant ministries, the Ministry of Planning and the Ministry of Finance were hosted. I think there is a delay from some councils in the provinces to raise the plan and there is also a delay in the response from the Ministry of Planning and the Ministry of Finance. The matter until we present it to the House of Representatives, will be presented at the next session on (27). As for the daily wage transfer to ministerial contracts, the Cabinet decision on the basis of conversion to ministerial contracts, but so far has not been implemented, in addition to our liberated provinces, especially Nineveh, almost all daily wages were canceled after liberation, until now security permits exist But they have been dismissed and not received, especially the Ministry of Industry of cement companies as well as Canadian and medicines, and the Ministry of Financial Resources also dismissal of daily wages, although they have served a number of years, what is the solution for the House of Representatives? We want as the rights of Nineveh due to its people, the daily wages at least turn into ministerial contracts, the justification that there are no financial allocations, financial allocations as defined in the budget law that the Ministry of Finance to provide amounts for ministerial contracts. A few minutes ago we read the industrial cities. I think that as the representative of the Iraqi people, it is now the first and best to think about rehabilitating the national industry, now the national industry. Unfortunately, after Iraq was exporting countries and now it is an importer, we prefer to care about our national industry. We have factories for cement, plants of urea fertilizer, these factories are now all disabled, which I notice is that we are in an empty loop, the important thing today is to rehabilitate the national industry rather than to keep discussing This project, a We are a member of the Committee and I must speak honestly, so I ask God for your cooperation in this matter. The House of Representatives will be interested in this. First, I support the MP to activate our national industry. We have in Ninawa the pharmaceutical factory waiting for your funeral. I met with the Prime Minister and asked him to unify the drug factory of Nineveh and Samarra. The number of souls of Nineveh is not enough to merge with Samarra. Now the decision has not been made, and the Ninawa plant employees are waiting for the decision to unify Ninawa and Samarra. Second: From the point of view of education there are jobs. Two months have elapsed since we were informed about education and health, but we do not know the reason for the delay. We hope to speed up the matter because the people of Nineveh and the lecturers are eagerly waiting for these jobs. 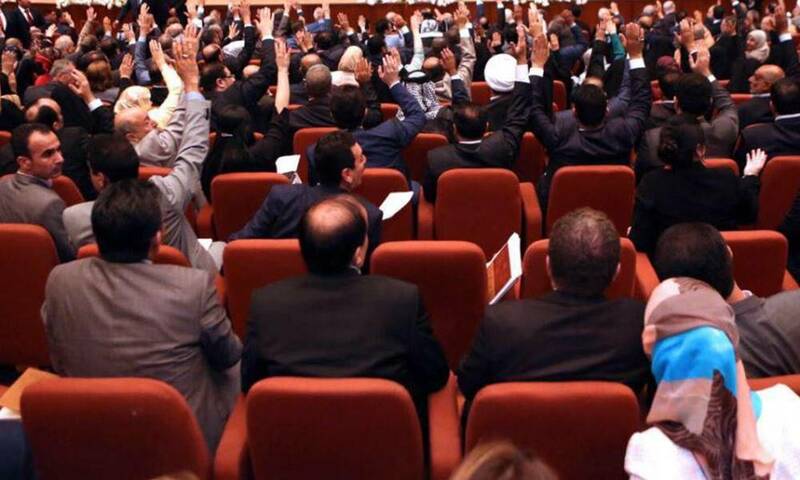 Article (52) of the Iraqi Constitution stipulates that the Council of Representatives shall determine the validity of the membership of its members within thirty days of the date of registering the objection by a two-thirds majority of its members. This matter, if we follow him, we find legally that the date of registration of the objection is open and unspecified, and this does not serve any member of parliament, whatever his legal culture is high, because according to Professor Yusra does not serve the whole council, And this is what was done by the Kurdish brothers in the Kurdistan region, the legal period has been determined after the oath of a member of Parliament three months, after which no person has the right to submit an objection to membership or to challenge the validity of the membership of a member of the House of Representatives, , Since this subject is open and has legal rubber We have to pay attention to this matter, because the parliament's term is four years, and this means according to what is written in the article that they are entitled to the last day of four years to challenge the validity of the membership of the member of the House of Representatives, so I ask the Council and my brothers deputies to agree to amend the rules of procedure or law The House of Representatives to set a specific legal ceiling. Article (52) / First (The Council of Representatives shall decide on the validity of the membership of its members within thirty days from the date of the amendment. The date of registration of the objection, by a two-thirds majority of its members). Second, the decision of the Council may be appealed to the Federal Supreme Court within thirty days from the date of its issuance. Now I have different opinions on the same subject from the court, which of them apply? Article 52 of the Constitution is very clear with regard to the validity of the membership. It is not related to the technical aspects of the elections. The technical aspects were determined by our selection in the same law that the electoral process is administered by the judiciary. Discrimination is from the judiciary. Either to be hosted to head the authority of the Federal Court in the House of Representatives, or go to the presidency of the Republic in accordance with Article (73) as a protector of the Constitution. I ask the Council for an opinion. I just want the Federal Court to explain this paragraph to me in Article 52 of the Constitution, that is, it explains to us in the House of Representatives, so that we know how to deal with it. The Federal Court is called upon to set a date for hosting the president and members of the Federal Supreme Court to attend the House of Representatives on Saturday or Monday in the coming sessions, only to inquire about them so that we know how to apply these paragraphs so as not to get the future jurisprudence of the House of Representatives, Clarification from us, or need clarification of this matter, will be hosted by their full number (President and members of the Federal Court). The Committee is pleased with paragraph VIII. We have about (14) pages. Read the traffic bill report. Complete reading of the Traffic Bill report. Article (3), thirty days, increase the period to (60) days, because the period listed in the law is not enough. Article (5) is also ten days, increase the period to (25) days. Article (18), add a paragraph concerning the martyrs and the wounded (belonging to the families of martyrs or wounded and for one time in accordance with instructions issued). Article (22) The period of validity of the market license shall be 20 years renewable, to legalize the expenses of printing and the business. Article 25 A person who commits any of the following acts shall be liable to a fine of two hundred thousand dinars for driving any vehicle in excess of the prescribed speed, and also to drive the vehicle in a manner contrary to the prescribed traffic board, and not to cover the load of carrying vehicles in a manner that prevents flying, While walking or shaking. And finally driving the vehicle with carelessness and carelessness. There are a number of observations I will make in writing to the chairmanship of the Security and Defense Committee. Today, I want to take advantage of the presence of the Security and Defense Commission. The truth of the subject that I will be talking about may be not the issue of the Traffic Law, but the Security and Defense Committee. For the former army, we all know that the former Iraqi army was an old army, and the state was spending huge sums on it, until I trained this army and made it the fourth army in the world. Today the word of the former army is a word inappropriate for the level of Iraqi democracy. where is that? In law? No, outside the subject, but I used the existence of the Committee on Security and Defense. I ask my brothers in the Security and Defense Committee to prepare a law to delete the word "former army" because this word is not compatible with democratic Iraq. The former army was a trained army with history. Today it is not logical to merge this army with Saddam Hussein. Previously, today we must ask that the army is an Iraqi army, whether retired, or was in the new army, so I ask my brothers in the Security and Defense Committee to cancel the word (former army). Our thanks and appreciation to the members of the Security and Defense Committee for approving this law, and the fact that the law is clear in its paragraphs, clear touches and the technical aspect that keeps pace with development, and improves the performance of the traffic departments in the provinces. First note: The amounts of fines contained in the draft law are very high, not commensurate with the size of the violation, fines up to one million dinars, and today we suffer from unemployment, and especially will apply, the mechanism of its application is not within the established standards, there is discretionary to the traffic man in the street, Or traffic officer, these can be exploited by personal things second. Article 28 (1) gives the traffic officer the power of the judge of misdemeanors, and this is contrary to the constitution originally. The authorities are separate. The separation of powers is a constitutional principle that can not be exceeded in any law. The power of a criminal judge to impose fines is a merger between the executive authority and the judiciary. The need to limit the punishment to a fine only without resorting to imprisonment, today imprisonment is expensive for the state, today prisons in the correctional circles think that the numbers are very large, and put people in prison will cause the cost of the state from the door of security, guarding, nutrition, there is no need, Violations, resorting to imprisonment for three months, six months or a year, this is unfair, traffic crimes are always unintentional crimes do not have the spirit of crime, we must go back to the philosophy of crime. Proposed to be converted into fines, fines in which the material benefit of the state, and no harm to the human. Fourth, the Traffic Directorate bears responsibility for the damage caused to the vehicle while it is being towed and detained, and the defaulters are referred to a competent court, because in one of the articles of the law (the driver bears the damage caused to the vehicle during its withdrawal), of course, today the traffic officer or the detachment that wants to withdraw the car Are to bear these damages, so there is keenness by the traffic police to protect people's money. Fifth: The need to provide for the formation of an inspection committee, which monitors the non-abuse of traffic officers in the use of powers of seizure of vehicles and the withdrawal of leave in each Directorate of Public Traffic, since the powers granted under this law to traffic officers and their employees absolute, must be inspection committees to monitor their work and determine the mechanisms to apply this Law, so be clear. Sixth: Based on the provisions of Article (V) of Article (90) of the Rules of Procedure of the House of Representatives (the Legal Committee is concerned with studying the proposals of the draft law), we ask to involve the Legal Committee on this subject, so that we have a view in the least legally, Will be concerned with the adoption and application of this law, and part of the functions of the Legal Committee to be involved in this. In the third chapter, article 8 at the end of the article says that it has permanent and legitimate residence in the Republic of Iraq according to the principle of reciprocity, is the most correct principle of reciprocity and not reciprocity, legally the most correct principle of reciprocity, there is no principle in the law called reciprocity. Mr. Chairman, through the consideration of the naming of the law and articles of the law. Many of the observations were mentioned. I will mention part of them and I give the rest of the observations to the esteemed committee regarding the naming of the law. The law does not only deal with traffic but also addresses the traffic. In the case of Article 11 (1), there was a reduction in the size of the engine that was in the law in force, so the law No. (86) for the year 2004 (125) cc, and we believe that it is better to protect the environment that the retention to what it was The text in the old law. Article (1) The sixteenth knew the natural person and did not mention certain phrases mentioned in the paper I will give to your grandfather. Article (17) The driving license document of the vehicle shall be issued by the vacations officer according to the law. It is preferable that the wording of this article is the driving document of the vehicle issued by the competent traffic department according to the law and not the traffic officer. The definitions did not include some important terms that we believe are very important. For example, the emergency road, the secondary road, the traffic light, the intersection of the road, the route, the corridor, all of which were included in the law in force so far. Article (2) The term "Republic of Iraq" is mentioned and we do not believe that this phrase is necessary because the law is applicable in the Republic of Iraq. Article (3) Fourth The term "officer" (officer) was not specified and he did not specify the officer, whether he (captain, lieutenant, pilot, etc.) is supposed to specify for example lieutenant up or not less than lieutenant, ) We propose increasing the period necessary to prove the legality of the vehicle's entry into Iraq with registration documents and make it (60) days instead of (30) days to give and give him sufficient opportunity in this evidence. Article (5) We propose to make the period (30 or 20) days and not (10) days being an insufficient period. Article (9) Fourth, we propose extending the period and making it more than what is stated in the proposal, such as (45 to 60) days instead of (30) an exception day to give the holder or buyer another opportunity before the Traffic Directorate and away from the courts. Article (25) First, we believe that the Council of Ministers shall be given the authority to reconsider it on the proposal of the Minister of the Interior and the Traffic Directorate whenever necessary, even if it is not necessary to do so. This is done by conciliation in the legislation in the area of ​​fines only. We suggest reviewing Article 25 (second). There are acts of equal gravity or such as in paragraph 1, however, the amount of punishment. There is an overlap between Article 25, Thirdly (k) The act is very dangerous or more serious than other acts, yet it is punishable by (50) thousand d Fire fine, we do not see this punishment is consistent with the gravity of the act, making the act within the doing and exhort the provisions of Article (25) first to be fine (200) thousand dinars. Article (28) First, we do not support the granting of the authority of the Traffic Commissioner the power of a magistrate. We consider it necessary to limit the matter to the traffic officer at a certain minimum level, captain or pilot, as a matter of gravity and gravity. Article (32) is inconsistent with what is stated in Article (25), there is administrative fear that requires a fine while Article (32) made it a crime means violation and crime, there must be a match between the two articles. Article (30) First, the rank of officer should be specified in the previous observations. Article (34) We propose to place a comma or to change it and make a double sentence. Article (36) proposes reconsideration of the penalty. The legislator has made it a felony. This is exaggerated because the manslaughter in Article 411 is punishable by imprisonment for a term not exceeding three years. The court must be given the power to do so in accordance with the person's personal circumstances and circumstances, and it is not considered a crime and punishment because it is a condition of applying the suspension that the sentence for a year does not exceed one year. Article (38) I do not propose that the penalty be imposed for a term of not less than three years. Finally, as regards the positive reasons, we propose rephrasing it to be in the following form, in view of the increase in the number of vehicles and for the purpose of organizing the legal mechanisms and provisions for the registration and transfer of ownership of vehicles and the regulation of traffic in roads and in general to reduce traffic accidents in order to preserve the lives and safety of individuals. Dr. I hope you will receive this written to the Committee because it has many paragraphs. I do not have the right to sit down with you, I do not have, on the contrary we are understanding on the subject, but the truth is there is confusion in the subject that it is the decision read by the brothers text all this we are changed , All the words mean most of the talk that was received from Professor Faleh and Dr. Hassan and many of the brothers who expressed their views, Muhammad al-Ghazi also discussed all of them and almost all of them, but the imbalance and remember I told you must we what we do, which we have resolved and our fate is up to the Council Deputies because originally they read them like n We are not familiar with it, we all these things changed, most of which means that they said that we are pathetic to read from, on the whole, these are their opinions we will add to other things and God willing we will amend the law in the next session. Is there anyone with a brotherhood intervention? In the name of God the Most Gracious the Most Merciful (Lord explain to me my chest and pleased me) the truth of God Almighty. I mean, I have a high capacity for assimilation. Second, I assume that my remarks are also less because of the many interventions I will focus on some observations. Article (12) Second: Each party to the contract of sale of the vehicle shall grant the right to cancel the contract of sale before the expiry of (30) days from the date of the signing of the external contract between them, without stating a reason or justification based on which the party is invalidating or revoking the contract. This period of the resources of the option of honor for the parties to the contract, although what he did not mention and did not adopt it at the origin of the contract, what is important is the issue in legal terms is not clear, a document in giving the meaning of the contract is necessary as we know, the contract of sale is necessary contract, Does not invalidate only by agreement of the parties to the dissolution after the completion of all conditions, this needs to clarify. Secondly, I agree with the Committee's observation, which confirms what the brother mentioned two prices about the existence of observations. One of these observations mentioned in the committee's estimation was that it did not read the exception of registering motorbikes with a size less than 40 cc because the management of the security situation requires To expand the database and information to include these vehicles, especially that some terrorist and criminal acts were carried out and carried out by them. Thirdly, Article (8) states that in certain cases, people are prevented from driving the vehicle and they are not satisfied with the state of sugar or the drug. It is also supposed to prevent the driving of the vehicle in this case. Article 23 First, the members of the diplomatic and consular corps and staff of international bodies and organizations and members of their families shall be exempted from the conditions of health and psychological fitness and the requirement of non-refraining from driving vehicles by judicial decision. Instead, they shall provide a statement from the head of mission certified by the Ministry of Foreign Affairs. Has actually been committed in Iraq to be sentenced to original or subsequent punishment and to prevent the driving of the vehicle, how is that provision exceeded by a statement from the mission. The following remark, Article 25, first, second and third, mentioned the penalty of such a thousand dinars and mentioned the acts that result from these penalties, these acts vary in nature and violation and justice requires proportionality between the penalty and the violation, it can not be accepted that equal punishment between an act that may lead To cause harm and danger to the lives of persons, as in paragraph (k), which states that the transfer of passengers on the sides of the car or on an external part of them or more than the same as the punishment of another act such as writing or drawing on the glass of the car, The life of humans, while putting only the correct writing is wrong but intentional Compel between this punishment and the crime of the requirements of justice. Article (34) The punishment of driving a vehicle under the influence of a sedative or a minor anesthetic means punishment, you also know this loses its awareness and potentially causes disasters for citizens, this is reconsidered and aggravated. Article (35) First, imprisonment and a fine not exceeding (1,000,000) more recent than third parties shall be subject to serious harm or permanent disability. For example, a permanent disability, for example, may lose one of its parties, the member loses or loses the job of this member, , Which means that, for example, there is a penalty for the act of punishment must be compensation for the damage caused by this punishment, and compensation goes to the victim and not to the state, and this of course Will even follow on those who die on more than dead as you know, now means for example if a driver, for example If you come to impose a fine on him for example, you go to the state, this is a loss of the right of this victim and this civil right to ensure compensation by the side of Mali. The Iraqi judiciary approved Dr. Ammar, approved the judicial decision to make the reconciliation of these crimes, reconciliation in which we mean between brackets tribal chapter, and the first question in which the judge asks the judge as a specialist, asks the judge complainant or plaintiff's personal right wife, mother or father that was reconciliation? He says to him: Yes, the reconciliation has been done. Have you been given blood money? This is the text of your speech, but the text is now absolute, if the sanctions are reduced. Yes, the absolute text says punishable by imprisonment and fine, regardless of whether it is a substitute for the injured or not compensated, so dedicate this absolute text. Article (38) First: Anyone who humiliates or threatens the traffic man in the performance of his duty shall be punished with imprisonment for a period of up to two years, of course with our refusal to exceed or insult any employee of the State in general or of the traffic man mentioned in this law. The justice requirements, it means that when he raises his voice when yelled at this called an insult, imagine the example of a driver who is nervous and raise his voice to pass under this law will be imprisoned for two years, of course we do not support nor encourage the abuse of state employee, but we said there must be a proportion between The act contrary to the law and the punishment that it entails. Some observations Of course I have second comments, God willing, I will submit them to the Committee. I am only asking to be followed on the question of whether the father committed an accident, for example, and his son died and the state is fined at least (1,000,000) dinars in this law? I mean, he is above what his son was with him when the car overturned and the children with him, the son died, throw in prison, but pay a million dinars until graduation. Is because it did not take into account the conditions of safety of driving and others. I mean, it is true, but if he was alone in the car, he would not be jailed if the car overturned, but because he caused the death of his son, what does this mean frankly? I mean we consider it a unjust decision in their right. Thank you, ladies and gentlemen, members of the House of Representatives, frankly valuable remarks, interventions we benefit from, if I comment on the time now around the sixth hour but in general most of the observations were taken in our proposed amendments, including suggested by one of the deputies on the proportion of fines to (50%) and (25) B (25) governorates, and God willing we will prepare the law and submit it to the Legal Committee to take their legal observations. The session will be adjourned until Saturday, 27/4. The meeting rose at 6:05 pm.